Every Australian has a duty to appreciate and understand the origins of their country and the original inhabitants of this land. 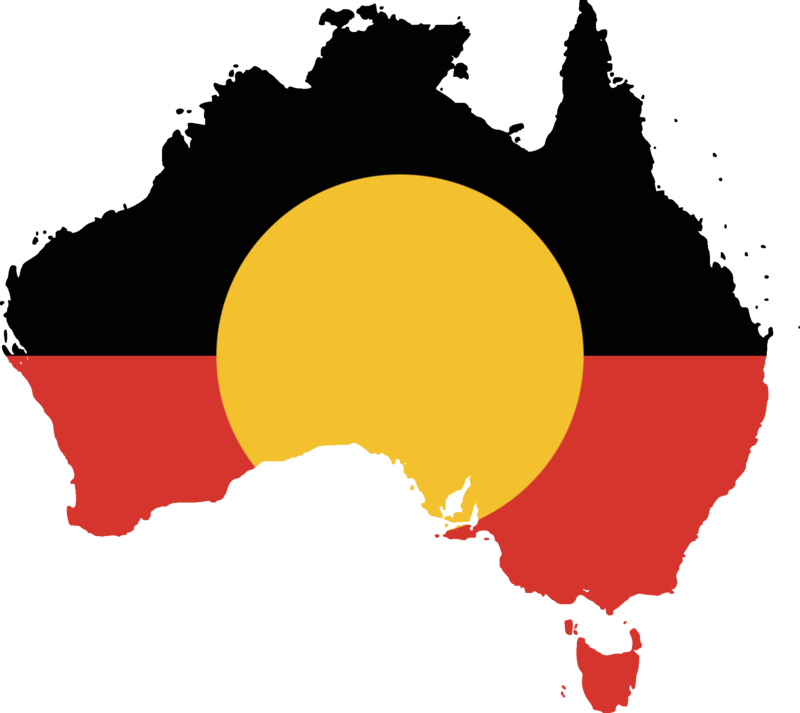 In conjunction with the history of this supposed ‘Terra nullius’ (Australia), unfortunately arises the concept of reconciliation, due to the poor treatment of the Aboriginal and Torres Strait Islander (ATSI) people in the past. In order for reconciliation to be successful, education and understanding is required for all Australians. Through a variety of mediums, education and understanding can be achieved. This education starts at the school level. In order for a teacher to be able to design and implement effective teaching strategies and provide opportunities for students to develop in relation to ATSI people, they must first understand the history and culture themselves. We need to gain a respectful understanding and knowledge of Indigenous cultures, histories and modern contexts whilst working in partnership with Indigenous communities. In order for a teacher to understand the modern life of Indigenous Australians, an understanding of the historical and cultural background of ATSI people is essential. ATSI people have one of the richest and oldest continuing cultures in the world, with estimates that they have inhabited what is now known as Australia for up to 60,000 years before European settlement. They lived with a strong dependence to the land and water and developed location specific skills such as hunting, fishing and gathering. Their way of life was changed dramatically after they were forced to submit to European rule. An understanding of ATSI history can be developed through the mediums below. The history of ATSI people has demonstrated that there has been a varying degree of disrespect shown towards them since European incursion, up until recent times. In the past, racism and control have belittled ATSI people and in some circumstances taken away their rights. Today, positive steps are being implemented to promote reconciliation. Reconciliation of the Indigenous and non-Indigenous people of Australia is not one moment or a single event. It is about unity and respect and it requires a large change in attitudes and practices, which will enable us to work together to close the gaps, and to achieve a shared sense of fairness and justice. We all have responsibilities to help ensure this process is successful. In recent times, Australia has taken steps to say ‘sorry’ and reconcile with the indigenous, however there is still a considerable amount of work to do. Every individual can take action of their own in relation to reconciliation. There are several actions an individual can take, including attending an Indigenous event, meeting and speaking with an Indigenous person from a local organisation or community, learning some vocabulary used by Indigenous people from your area or simply reading an autobiography of an indigenous person. These are all actions a teacher can take to develop their understanding of ATSI people, in order to benefit the students they will be teaching. Again, reconciliation requires education! It is vital that educators teach for social justice to promote equality throughout the wider community as well as the educational environment. We can achieve this by acknowledging the traditional owners of this land and by promoting the culture and identity of ATSI into Australian education. In relation to ATSI students, the Australian curriculum aims to promote the importance of pursuing excellence within education settings which respect and promote their cultural identity. The Australian Curriculum also means that all young Australians can learn about the histories and cultures of ATSI people, of their contribution to Australia, and of the consequences of colonial settlement for Indigenous communities, past and present. Historically there has been ‘gaps’ between Indigenous and non-indigenous Australian’s in relation to early child development, education and training, healthy lives, economic participation, home environment, and safe and supportive communities. In relation to secondary school completion, from 2008 to 2012-13, the proportion of ATSI 20–24 year olds who had completed year 12 or equivalent or above increased from 45 to 59 per cent. The non-Indigenous rate remained stable between 86 and 88 per cent (Australian Government – Productivity Commission). The ‘gap’ is improving, however, this is a ‘gap’ that needs to be closed. It is important for Australia to remain focused on overcoming Indigenous disadvantage. In order for a teacher to improve their ability to teach ATSI students, Monash University, Edith Cowan University and Charles Sturt University have developed a document that provides learning modules and activities to enhance understanding of the subject matter. This series of six modules for each of the focus areas has been developed to enable all Australian teachers to develop their cultural competence and professional skills and knowledge about strategies for teaching ATSI students to a proficient standard. The modules have been largely designed as a developmental sequence for professional learning, building from the individual teacher’s personal and professional knowledge and awareness of self and their school community through to knowledge and awareness of curriculum and pedagogy within the broader profession and system. Modules can be taken individually depending on the existing knowledge and experience of individuals and school staffs. A link to the document is provided below. I have worked through and completed a number of the activities within each module of this document, however there is still much I have to learn and understand in relation to ATSI students. The Australian Institute for Teaching and School Leadership (AITSL) have also produced a document for the benefit of teachers wishing to improve their teaching, professional development and understanding of ATSI students. This document examined the current and future provision of teacher professional development in the field of Aboriginal and Torres Strait Islander Education at the National Collaborative level, the State and Territory Government Systems level, and the Local level. Regarding Focus Area 1.4 – There are two predominant foci in the literature about professional development programs designed to give teachers the skills to teach Indigenous students. These are, first, practical strategies for working with students, including developing culturally inclusive curriculum, improving student behaviour, language and literacy, using new resources, and second, ways to enhance the student-teacher relationship. Regarding Focus Area 2.4 – There are three foci in the literature about professional development programs designed to develop general teacher intercultural skills and knowledge or more specifically to give teachers the skills and knowledge to understand and respect Indigenous cultures. These are, first, understanding history; second, learning intercultural or cross-cultural skills involving the development of, or changing of, teachers’ personal attitudes, expectations and understandings of the ‘other’ culture; and, third, creating inclusive, intercultural classrooms or schools. The What Works website is another valuable resource and tool which helps schools and individuals plan and take action to help improve educational outcomes for Australian indigenous students. Their aims involve building awareness, forming partnerships and working systematically. These three documents are invaluable to any teacher wishing to develop their professional knowledge in relation to ATSI students. Through my understanding I have been able to plan and develop lesson plans within my subject area of health and physical education taking into account the history and culture of ATSI people, the way in which ATSI students learn and the subject matter and outcomes I am trying to achieve. Having an understanding of how to teach and connect with ATSI students is paramount. This understanding can be achieved by seeking out indigenous educators or elders, by building and maintaining positive and caring relationships with parents or caregivers and by reading the related literature. Teachers can then tailor programs, unit plans or individual plans based on this information. 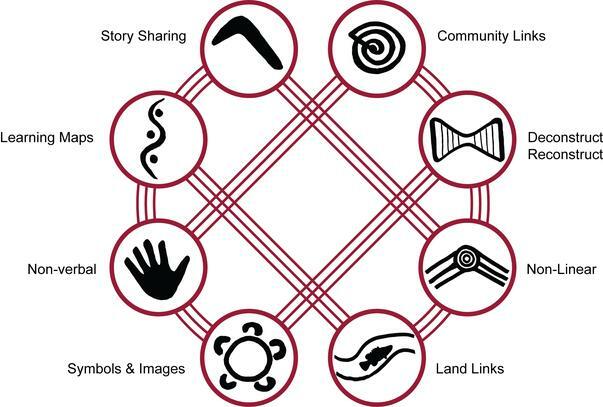 A great website based on indigenous education is called 8 ways. As well as the steps listed above, I believe it is important to develop a strong student teacher relationship. Relating to a student’s favourite sport or sports person and genuinely taking an interest in the development of this relationship can be very beneficial in relation to student learning and participation. I am a firm believer that developing a solid teacher-student relationship is one of the most important factors to student success. If a student respects a teacher they are more likely to listen and participate and in turn, learn. I haven’t had the opportunity to teach many ATSI students, however two students at a Perth public school stick in my mind. Two year eight (at the time) aboriginal male students were disinterested at times. At the beginning, when I didn’t know the students, it was difficult to get them to respond or participate. After quizzing the students on their favourite sport and athletes, over time I was able to relate to them through their individual interests. I did this by having general conversations and by giving them leaderships and mentoring roles when doing practical activities in conjunction with AFL. As the students were talented footballers they were very happy to show others their skills, which proved to be beneficial for the rest of the class and the two young men. For me, it is important to provide opportunities for students to develop an understanding of and respect for ATSI histories, cultures and languages, through effective teaching in relation to the subject areas I am involved in, specifically, physical education and health education. In relation to health education, cultural attitudes and perspectives are important influences on overall health and well-being. Students will have the opportunity to review factors affecting health, design health promotion initiatives, examine the complexities of culture and its impact on beliefs and practices. Students will also learn about the importance of family and kinship structures for maintaining and promoting health, safety and well-being as they study determinants that influence personal and community health. In relation to physical education, the selection of specific contexts will allow students to explore personal, community and group identities. In doing this, it will build understanding about differences and commonalities in systems of knowledge and beliefs. Students will also have the opportunity to participate in physical activities and cultural practices, such as traditional indigenous games. 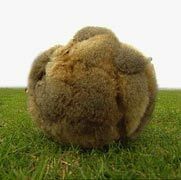 These games can then be linked back to the curriculum via similar contemporary sports. The above example of a traditional aboriginal game can be related back to the contemporary sport of athletics through the individual activity of javelin or via any ball sport (E.g. cricket, baseball). There are a large number of traditional indigenous games and activities which involve a large range of skills, movements, ability, equipment, strategies and tactics, which can all be related back to the Australian curriculum, with reference to health and physical education. The possibilities are endless. Example – A lesson in the physical education or outdoor education setting based on the history and culture of indigenous Australians, with emphasis on hunting, diet and the boomerang in order to relate the subject matter back to physical education or health education. The lesson would involve some background information on the history and culture, the ways in which the indigenous hunted and a practical activity with boomerangs (Toy/sport replicas) in a safe environment. 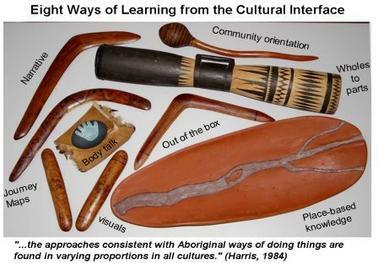 If there are any aboriginal students in the class I would encourage them (not force) to help me teach, or take the lead in discussing the history of the boomerang and the way it was used. This would give the indigenous students a chance to express some of their feelings and explain parts of their culture to the rest of the class. It could also be beneficial to seek advice from the ATSI education Officer or equivalent knowledgeable person by comparing and contrasting teaching approaches. This lesson would be the second lesson in relation to ATSI history and culture, with reference to physical activity for a year eight or nine mixed gender class. The topic could be easily modified or extended depending on time constraints and curriculum. In order for a teacher to understand the contemporary life of Indigenous Australians, an understanding of the historical and cultural background of ATSI people is essential. Through this understanding, each teacher, regardless of their specific subject, can use effective teaching strategies to promote social justice and acceptance in their classrooms in relation to Aboriginal and Torres Strait Islanders. This education will begin at the school level, however over time this education will extend positively to the wider community. It is crucial that Australia’s education system incorporates and embraces all cultures moving into the future. I have undertaken many of the aspects and areas of teaching Aboriginal and Torres Strait Islander students, however, there is still a lot for me to learn and execute. Australian Government – Productivity Commission. 2014. Overcoming Indigenous Disadvantage. [ONLINE] Available at: http://www.pc.gov.au/research/recurring/overcoming-indigenous-disadvantage/key-indicators-2014#factsheets. [Accessed 20 July 15].